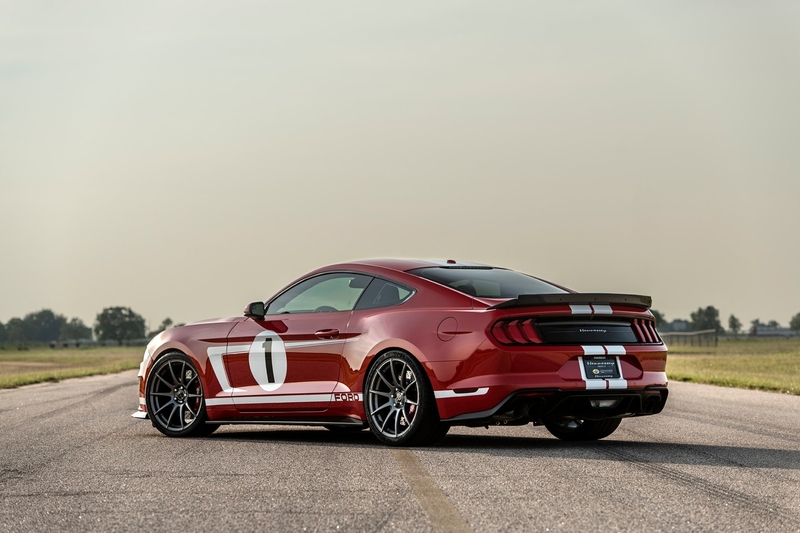 It claims to eclipse the quarter mile mark in less than 10.7 seconds at 132 mph. 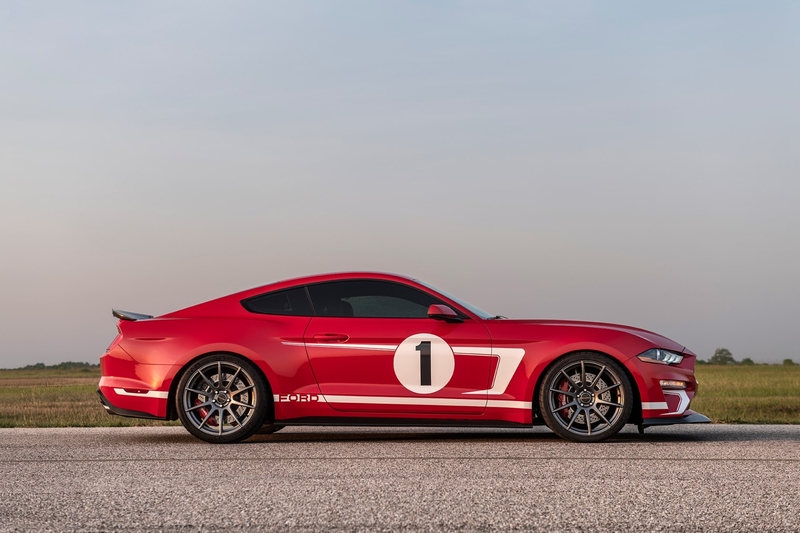 Topline: Texas tuner Hennessey had to do something special for its milestone 10,000th vehicle and so they've created a limited-run monster 808-horsepower Ford Mustang. 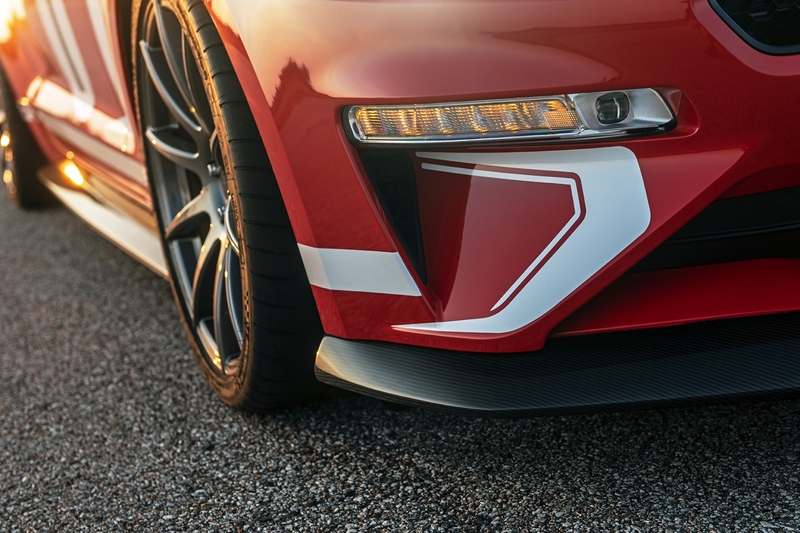 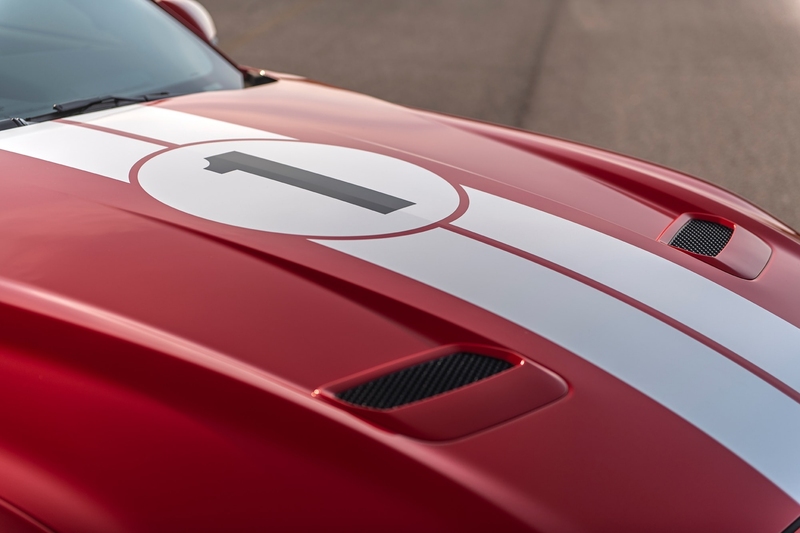 Besides the addition of the carbon-based aero parts, reworking of the suspension and brakes upgrades to the 2018 Ford GT Heritage Edition, they've also given it the Hennessey effect under the hood in the form of a supercharged 5.0-liter V-8 motor that churns out an incredible 808 hp at 7,200 rpm and 677 pound-feet of torque at 4,500 rpm. 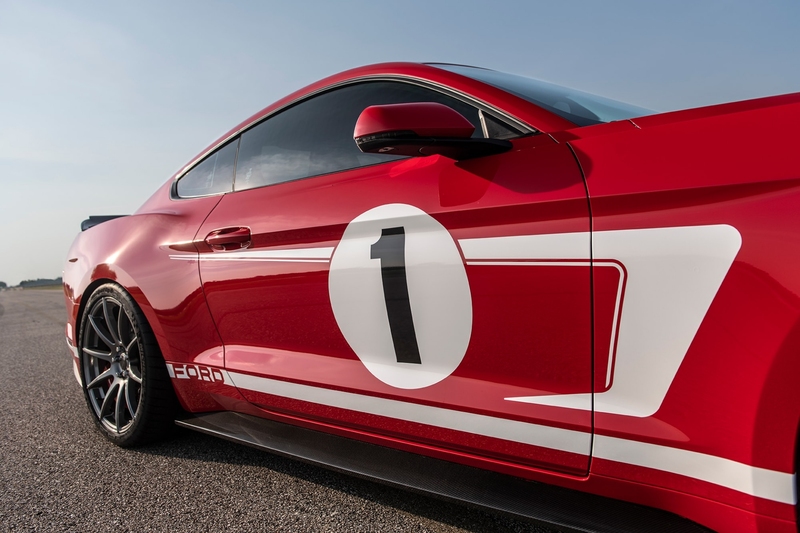 This allows it to sprint from zero-to-60 mph in just 3.3 seconds. 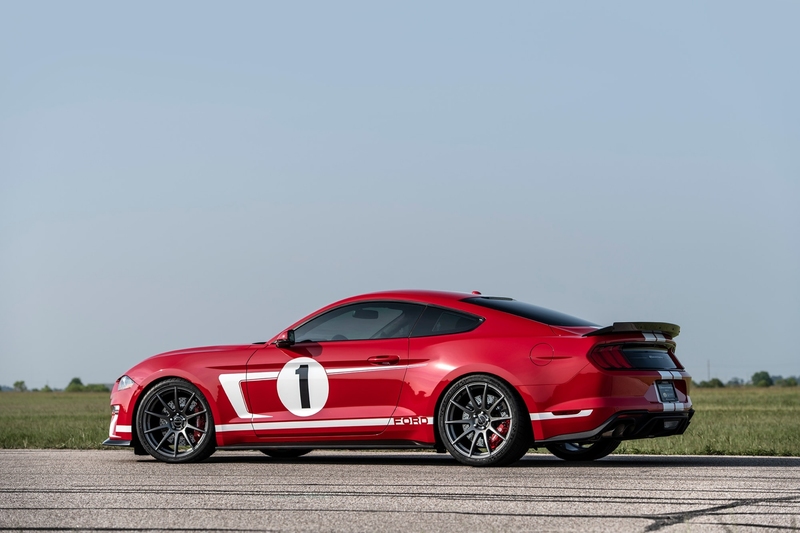 And if you can find a stretch of tarmac long enough it will top 200 mph. 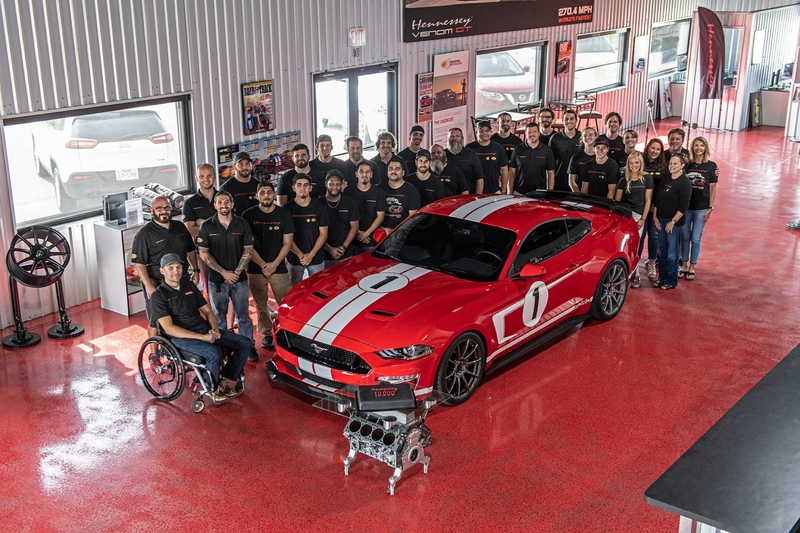 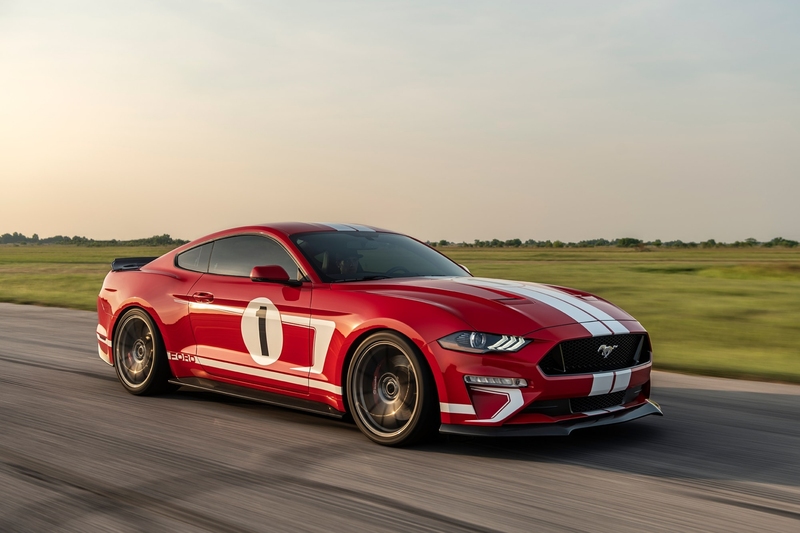 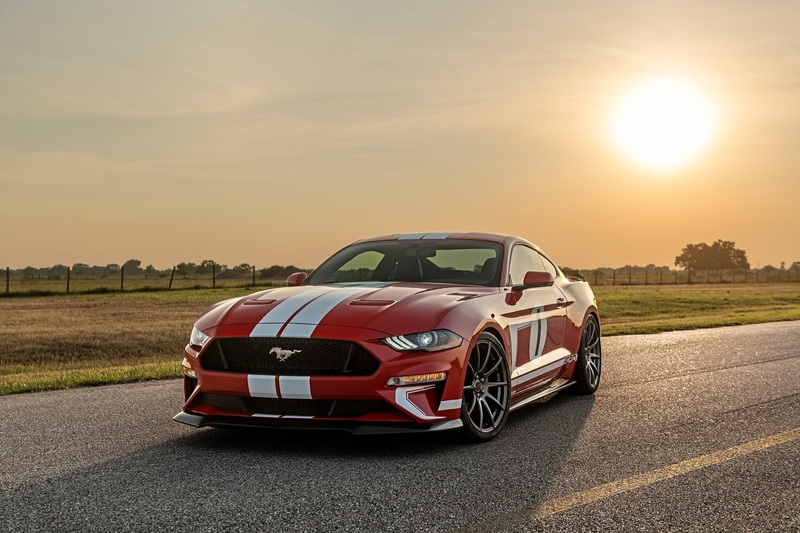 What you need to know: The Hennessey Heritage Edition Mustang is being offered as a complete "turnkey" vehicle, which includes the base Ford Mustang GT and is available with either a factory-fitted six-speed manual or 10-speed automatic transmission. 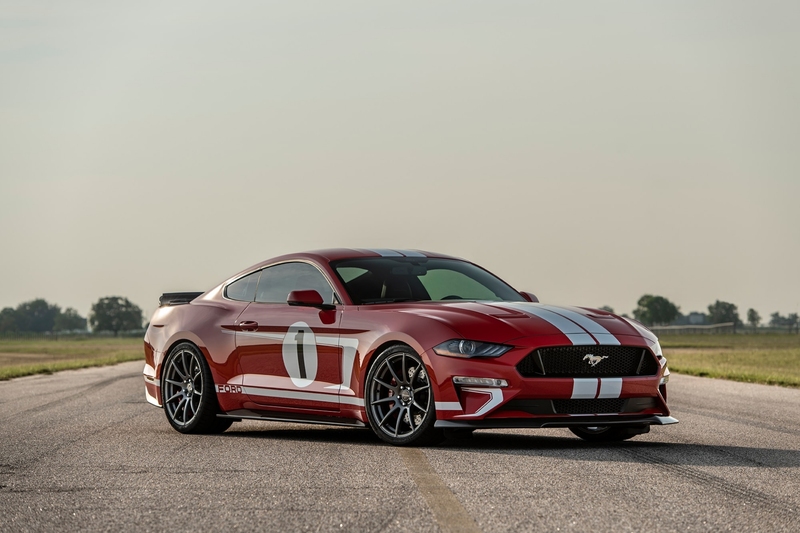 Prospective buyers better like red because this Hennessey Heritage Mustang is only available in factory Race Red with the white livery graphics. 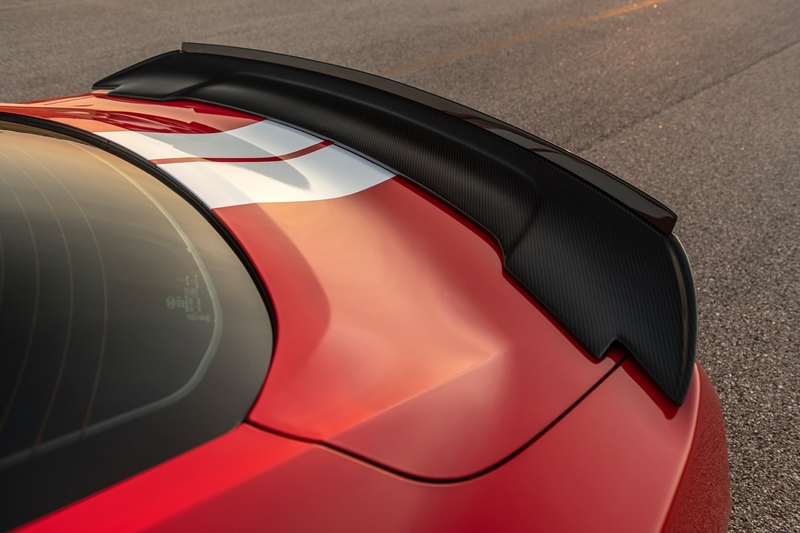 But it does have several carbon-fiber parts that everyone can swoon over like CarbonAero Front Carbon Fiber Splitter, CarbonAero Carbon Fiber Side Sills and CarbonAero Rear Spoiler with Gurney Lip. 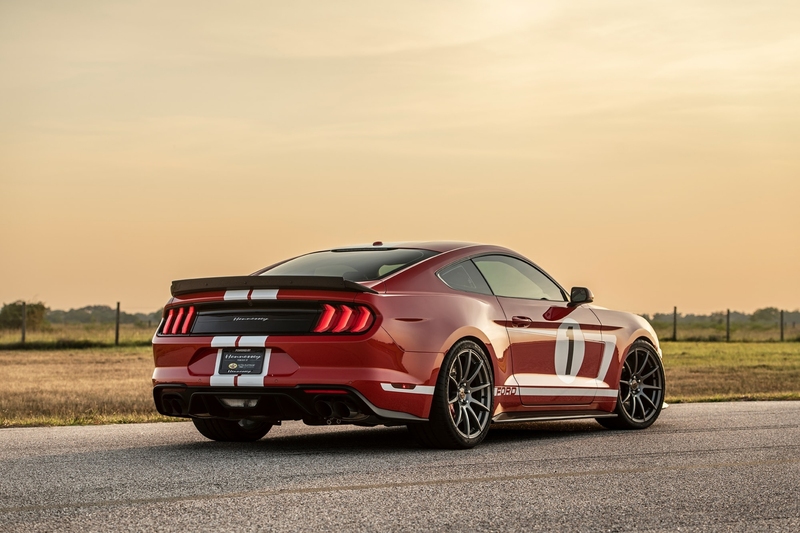 The purspose-built pony car rides on 20-inch alloy wheels wrapped in Michelin Pilot Sport Cup2 tires. 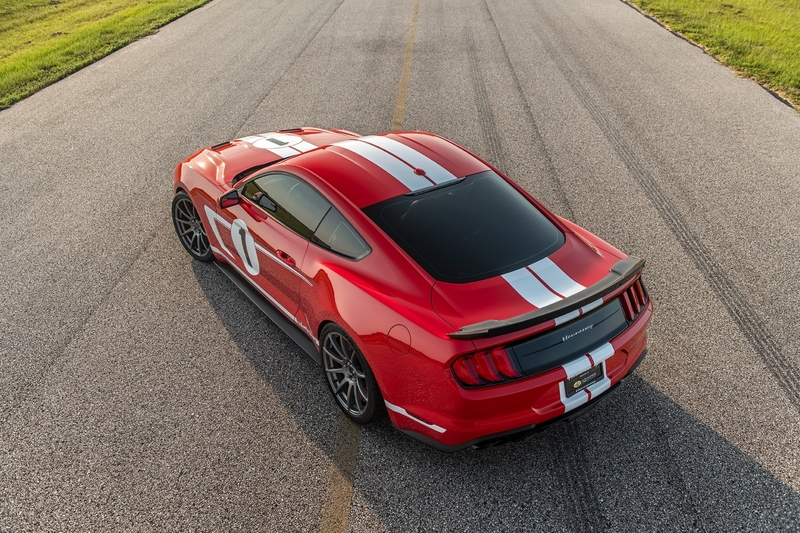 And it has a Cat Back stainless steel exhaust system to let out some steam from all that furious power making. 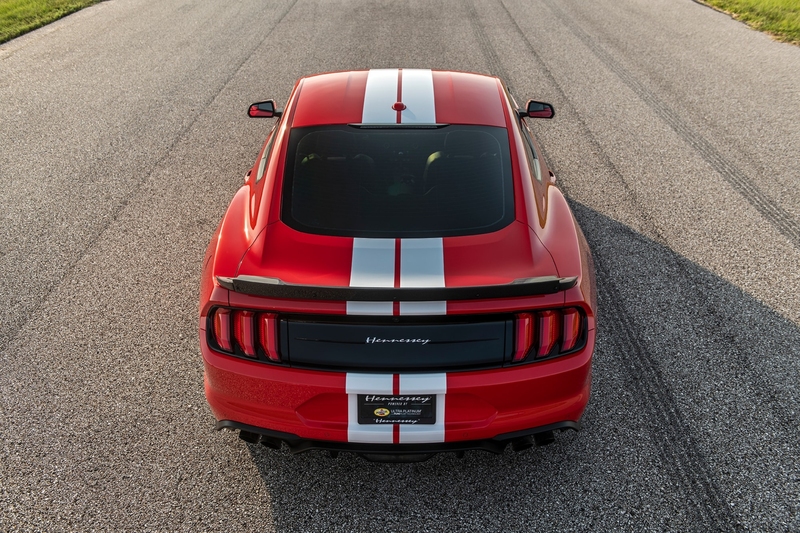 The suspension has been lowered as well, but specifics haven't been mentioned by the tuner. 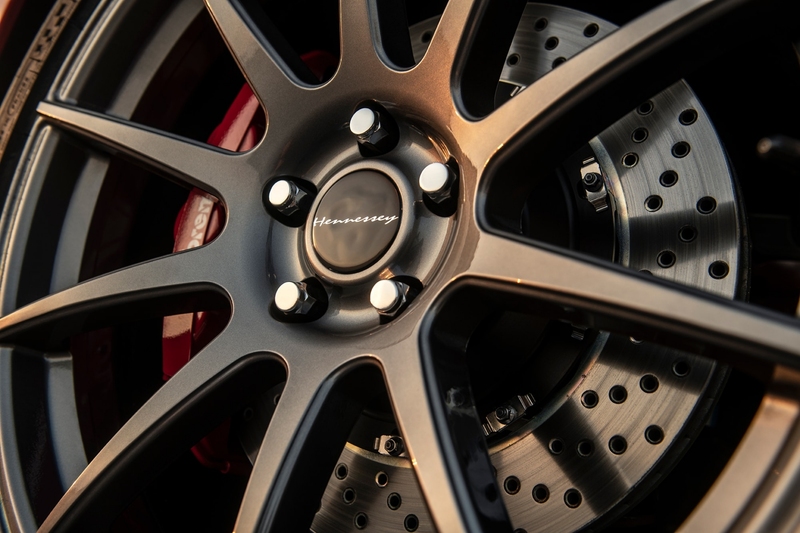 Active safety has also been prioritized in the form of optional Brembo six-piston calipers with 15.1-inch rotors available upfront and Brembo four-piston calipers with rotors of the same size at the rear. 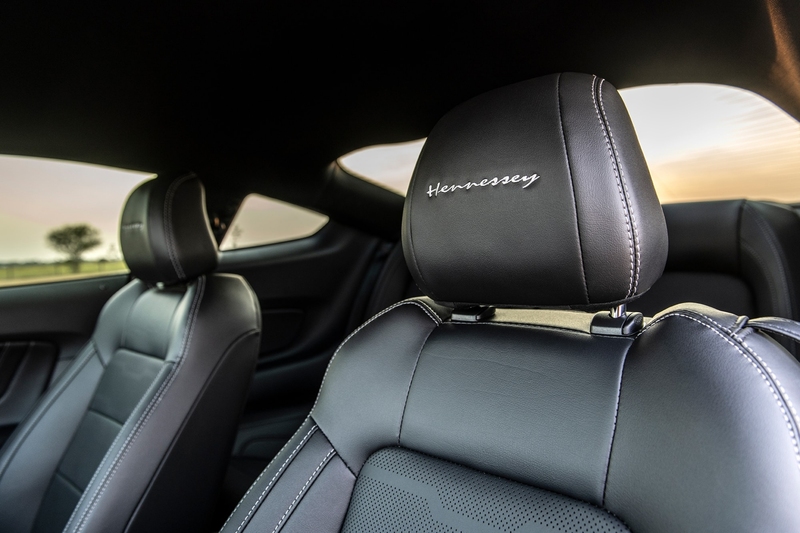 The interior, it seems, is mostly untouched except for some Hennessey-embroidered on the headrests. 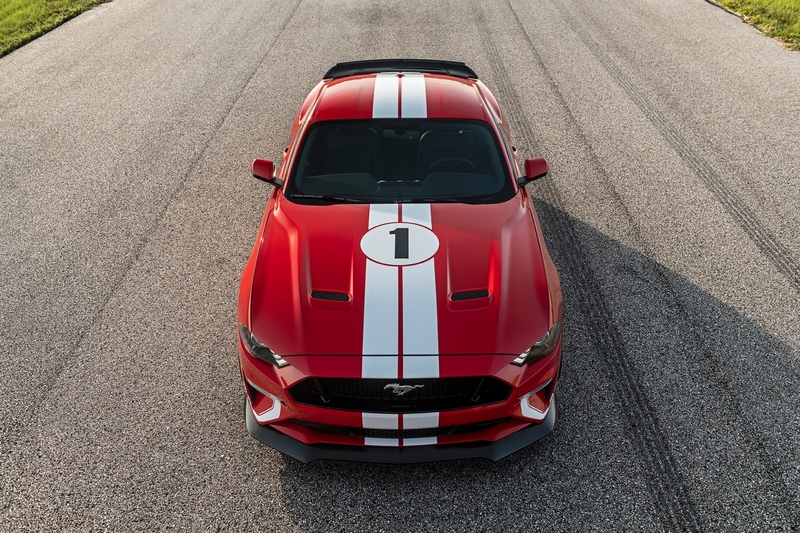 Pricing and warranty: Production of the HPE Heritage Mustang is limited to just 19 units. 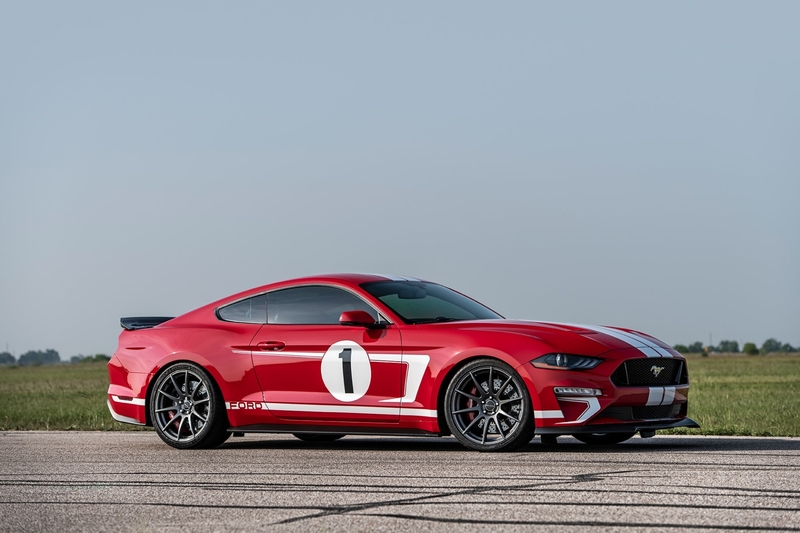 So if you want one, you better hurry. 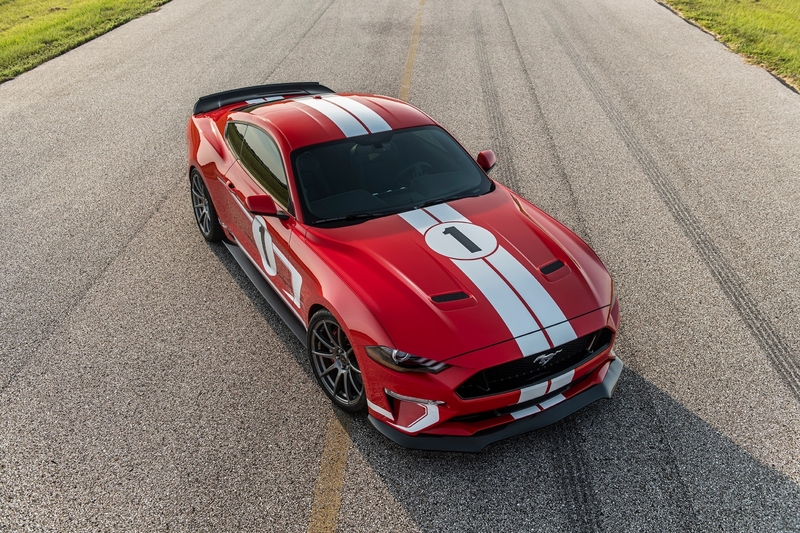 And each of these builds will have its own serial numbered dash plaque and engine plaque, letter of authenticity, and personal letter of gratitude from John Hennessey. 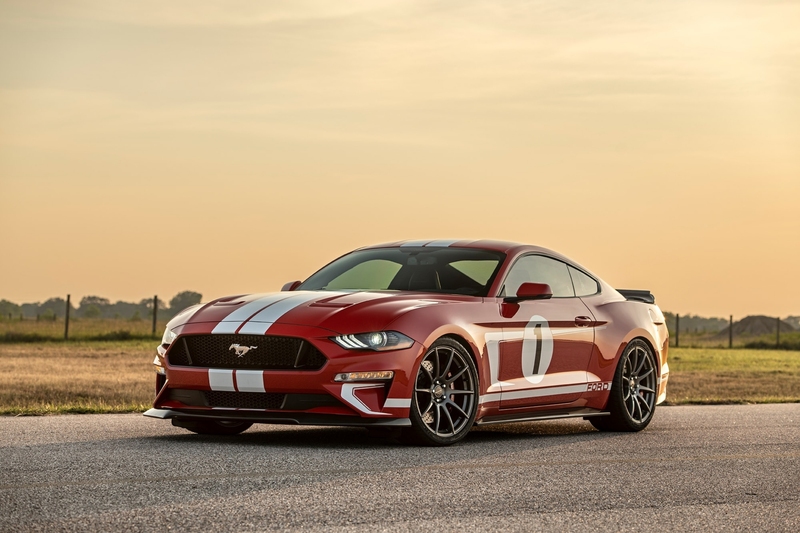 Hennessey is now accepting orders of the 2019 HPE Heritage Edition Mustang globally, either directly or through an authorized Hennessey Performance dealer. 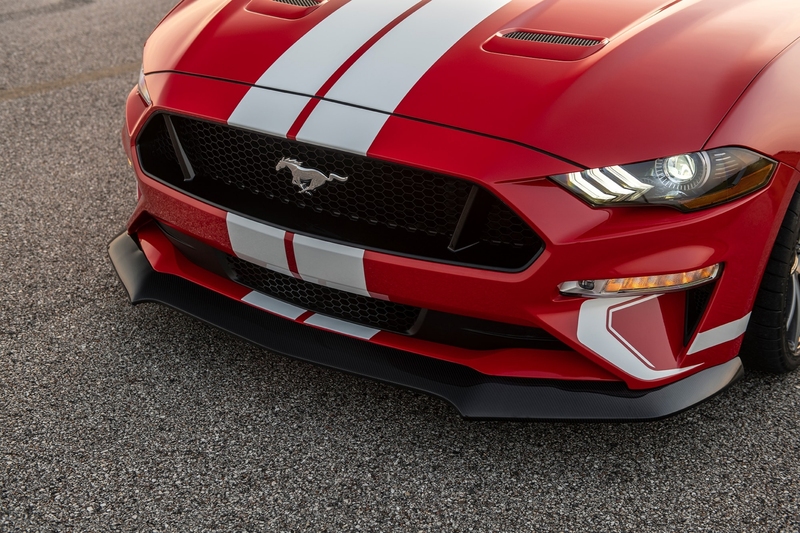 Prices start at $89,950. 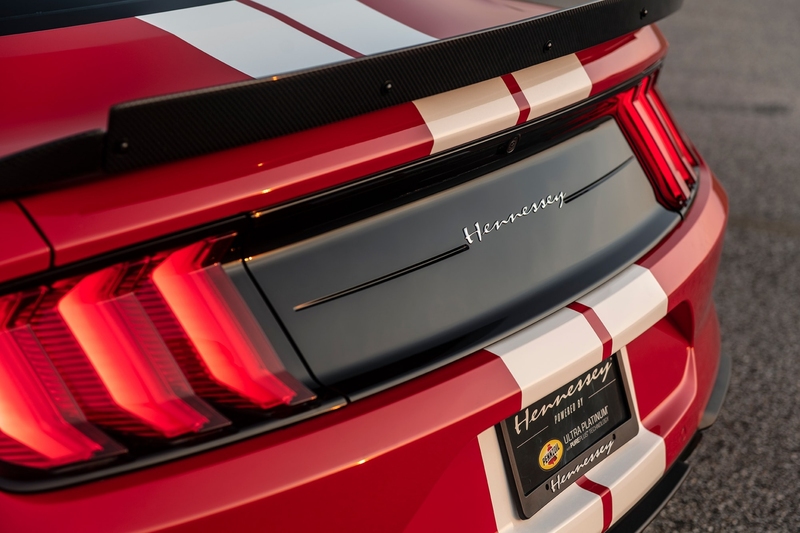 Each vehicle comes with a complete 3 year, and a 36,000 mile warranty on all Hennessey upgrades which works conjointly with the factory Ford warranty, thankfully. 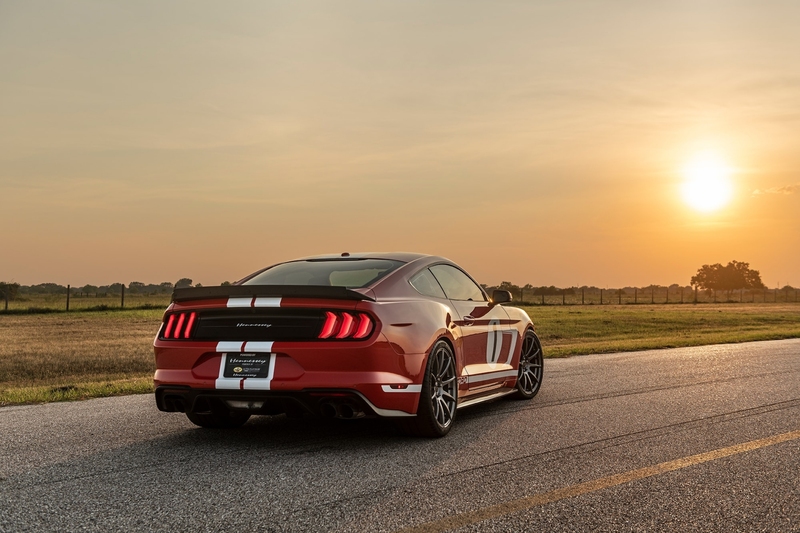 The power of Hennessey compels you.